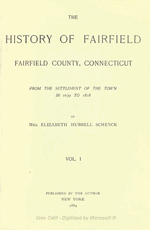 "The History of the Town of Catharine, Schuyler County, New York"
by The Tuttle Publishing Co. Inc., Rutland, Vermont, 1945. 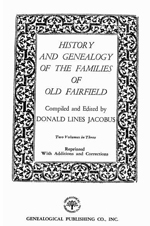 [S18732] History & Genealogy of the Families of Old Fairfield, Jacobus, Burr, DAR 1930. [S18738] The History of the Town of Catharine, Schuyler County, New York.